The first, and possibly most obvious, option for getting more life out of the posts in your archives is to update the post to get rid of outdated content and to keep it relevant. It’s not possible to keep all of your old posts up-to-date, but it’s worth updating the posts that receive the most on-going traffic (usually from search engines), as well as those posts that you would like to have a bigger impact. Updating old posts could simply involve removing of fixing dead links, and replacing small parts of the content that are no longer relevant, or it could involve completely re-working the post. Updating your old posts ensures that when visitors see the content it will be helpful for them, rather than frustrating them with outdated information. It can also help to allow the content to continue to attract links and social media shares, since no one will want to link to or share outdated content. Having updated content encourages visitors to stay on your site longer, because if the information is outdated they will likely leave your site immediately and continue their quest to find another similar page with up-to-date information. Once you have updated an old post, you can change the date of publication to the current date and time if you would like it to show up on your front page again, which can help it to get a boost. Hopefully you are building an email list with your blog. If you use a service like GetResponse or AWeber you can easily set up an autoresponder sequence that will go out to people after they join your list. 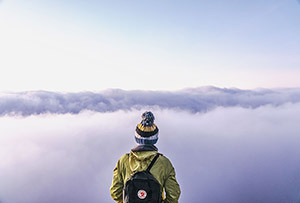 The autoresponder may be used to distribute a link to a free download as a thank you for joining your list, and it can also be used to establish a connection and build the trust of your new subscribers. Building an email list should be a priority for any blogger, but in order for the list to be effective for you, your subscribers will need to be responsive. If subscribers aren’t opening your emails or clicking on the links in your emails you won’t be able to use the list to drive traffic to your site or to make money. One effective way to increase the responsiveness of your email subscribers is to provide value through the autoresponder sequence. You can use these messages to deliver tips, resources, or whatever type of information will be helpful to people who have just subscribed to your list. This may involve linking to some pages or posts at your blog where subscribers can get more information. Think about the types of content that you would like to present to subscribers who have just joined your list. There’s a good chance some of your old blog posts could be really helpful to these new subscribers. You can set up your autoresponder sequence to include links to some of your most important or helpful posts. This content will be of interest to many of your subscribers, will help you to earn their trust, and will drive more traffic on an on-going basis to some important posts from your archives. Images, graphics, and photos have become increasingly important with social media sites in the past few years. Sites like Pinterest are extremely visually oriented, and even Facebook, Twitter, and Google+ have all become more visual recently. It doesn’t matter what type of content you are sharing through your social media profiles, making effective use of images can have a huge impact on your results. You should be in the habit of creating images/graphics for your new blog posts to make them easier and more appealing for visitors to share, but what about adding some images to old posts in your archives? If you have old posts that may be of interest to social media users but lack appropriate images and visuals, why not take the time to create and add these images? You certainly don’t need to do this for every old post, but for the right posts it can be very effective. Posts that already receive a decent flow of search engine traffic or referral traffic from other sites would be ideal, because they already have enough exposure to generate some shares with the help of a new image. You can share the post and the new image through your own social profiles to give it a kick start. After you publish a new post at your blog you are most likely sharing it through your social media profiles. But what about older posts from your archives? Chances are you are rarely sharing links to your old posts. Sharing links to key posts in your archives is a great way to get more life out of your old posts, and it can also be helpful to your followers since the majority of them probably have not seen the posts that you are sharing. With the help of tools like Socialoomph, Hootsuite, and Buffer you can easily set up and schedule tweets and messages at other social media sites for the future. You can take 30 minutes and schedule many messages to share links to important posts from your archives. The professional plan at Socialoomph includes an awesome feature that is perfect for this. You can insert tweets to share a bunch of your old posts, then set it to randomly share one of them every x number of hours, and you’ll be sharing your old posts on autopilot. And if you’ve taken the previous step of adding shareable images to your old posts before sharing the link to the post, your post is more likely to be re-shared by your followers. Most blogs include important calls to action somewhere on the blog. It could be an email optin form in the sidebar, below post content, or in a popup. It could be a contact form that visitors can use to get in touch with you about services that you offer. It could be a button to buy a product that you are selling. But calls to action can also be included within the post content itself, and adding these calls to action to important posts in your archives can help to significantly increase your conversions. The most common type of call to action that a blogger could add to an old post is an email optin form. Although you probably have an optin form somewhere else on your blog, and maybe even a few different places, forms within post content can be extremely effective because they will get the reader’s attention. Adding an optin form to your post content is easy. Simply get the form code from GetResponse, AWeber, or whatever provider you are using, and paste the form code in the “text” tab (for WordPress users) wherever you want it to appear. Adding an optin form to a few popular posts from your archives may have a noticeable impact on the number of subscribers that you receive, allowing you to build your email list faster. Calls to action can also be used for other things aside from getting email subscribers. If you sell a product at your blog you could go back through your archives and look for old posts that cover topics related to your product. Add a link to the product page, or even a “buy now” button along with some brief information about the product to these old posts. If you use a call to action to direct visitors to whatever action you want them to take, your blog archives can become much more effective at conversions. If you have an important post in your archives that is not getting the visibility or exposure that you think it deserves, one approach is to write a guest post for another blog in your niche or industry and include a link to the old post. Of course, anything you publish at another blog will have to pass the inspection of the blog owner or editor, so make sure that the link is highly relevant and actually adds value to your guest post. The link could be in your author bio, or you may be able to link to it from somewhere in the body of the guest post if it is highly relevant. If you choose the guest post topic with the link in mind, you may be able to find a very relevant way to include the link within the post body. If your guest post is published on a popular blog this could lead to plenty of exposure for your old post. Before linking to one of your old posts from a guest post, be sure that you’ve taken the time to make any needed updates to be sure that the old post is still relevant and useful. Also consider adding a shareable graphic, if it doesn’t have one already, and a call to action, if appropriate. This way you will get the most impact from the link, and it will also be helpful to visitors who click through to visit the old post. One easy thing that you can do to get a little more impact from your old posts is to add more internal links within the posts in your archives. Interlinking your posts will help to keep visitors on your site a little bit longer, and will increase the visibility of the posts in your archives. These links can also have a small impact on search engine rankings. Adding more internal links to your posts is simple. Just take some time to read through some key older posts and look for opportunities to link to other posts from your archives. Another way to increase exposure for an older post is to publish a new post that is a follow up to the older post. You could even create a series with several different posts, each one linking to other posts in the series. When you publish a new follow up post you will, of course, want to mention that it is a follow up, and include a link to the older post. Some of your visitors who are reading the new post will also click on the link and read the original, older, post. If you have a number of old posts on related topics in your archives that are worthy of getting more attention, you could complie them together to create an e-book. You could then give the e-book away for free at your blog, which would help to get more eyeballs on the content of those old posts. You could also use the e-book as a free bonus for your email subscribers, which allows you to use your old content in a way that will help you to grow your email list faster. Creating an e-book doesn’t have to be complicated. Using simple free software like OpenOffice you can create PDFs very easily. Once you have your e-book complied, it can be an effective tool to help you get more exposure for your blog. If you are friends with other bloggers in your niche or industry you could reach out to them and ask for them to share it with their followers through a link at their blog or by sharing it through their social media profiles. You can also do some blogger outreach to help spread the word about your free e-book and get some added visibility. One last option that I’ll mention is to go back and make some small SEO tweaks to your old posts, which may help them to attract more search engine traffic, making the posts more effective for your blog. You can start this by doing some keyword research with the free Google Keyword Planner, or a more advanced tool like Long Tail Pro. With these tools you may find that your post title could be tweaked to target a keyword or phrase that has potential to attract more search engine traffic. With the help of a free WordPress plugin like WordPress SEO or All-in-One SEO Pack, you can easily set custom title tags for any post. Another helpful tweak is to set a custom meta description for important posts. The description won’t really help you to rank higher, but it will be shown on the search results pages and a good description can help to attract more clicks. You can also work to build some links to your old posts, which will help them to attract more search engine visitors. 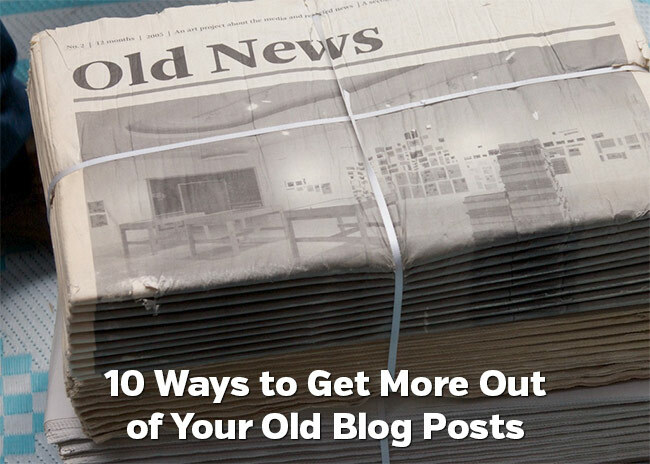 How do you use the posts in your blog archives? Feel free to share in the comments.